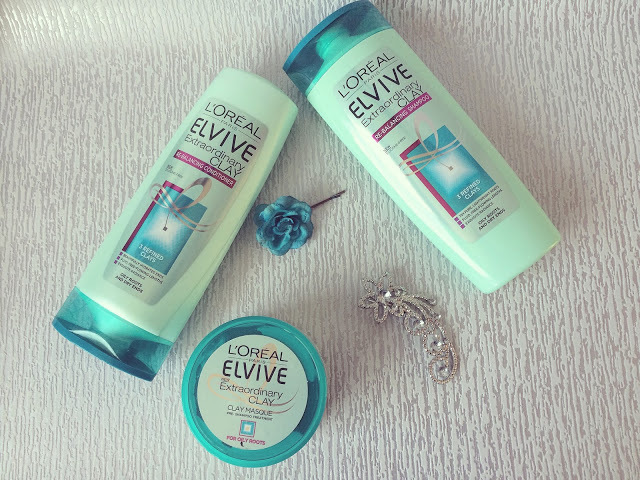 We’re going for a first on The English Everygirl today: a haircare review! Shoutout to the PR lady who emailed me to say she loved my haircare posts when in fact, I can’t recall ever writing a post about my hair! 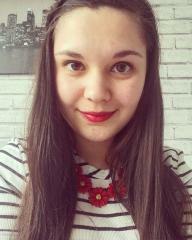 I’ve always loved my hair: it’s naturally dark, long and straight. I’ve never even dyed it; so many people dye their hair to get it my colour so why would I bother? However in recent months, I’ve realised that it’s become a lot greasier than it ever used to be. I’ve gone from being able to get away with 3 days between washing to a day and a half. Most of the time you can tell when I haven’t washed it, I’ll just stick it in a high ponytail or a bun! 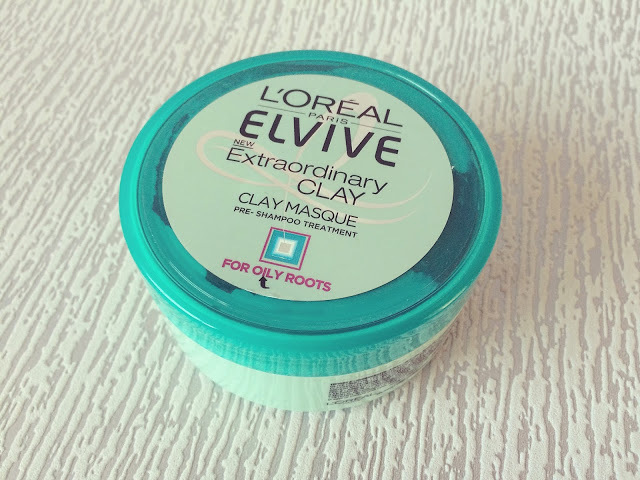 When I found a sample of L’Oreal Elvive’s new clay range in a magazine, I gave the hair masque a try. It felt so weird but amazing at the same time! From that point on, I went on a hunt for the full set! For people saying the hair masque doesn’t come with instructions, you have to peel the top label off! Basically you apply/massage it to dry hair (roots only) and leave for five minutes. I can tell you now that it will feel weird. I just felt like my hair was full of gunk but the smell isn’t too bad so I didn’t mind as much! After that, I washed off the hair masque and applied the shampoo straight away. 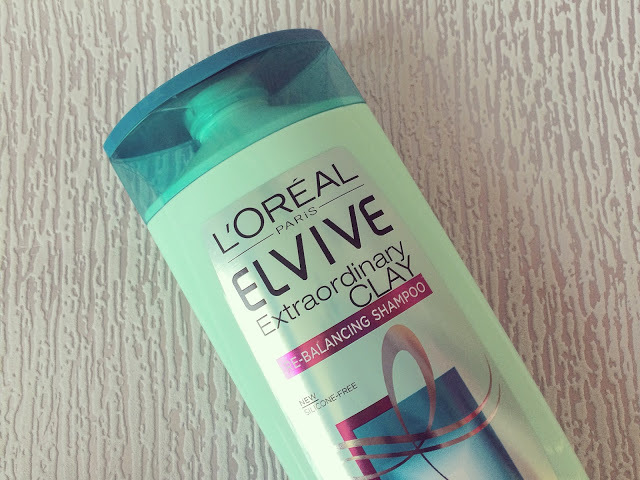 Normally I go for thicker shampoos; this one is pretty runny but it lathers up amazingly! It felt lighter on my hair than their other shampoos do and didn’t seem to take as long to wash out either! Finally I applied the conditioner. It clearly states on the back that it should be applied to the mid-length to tips as conditioner can make your roots look greasy! 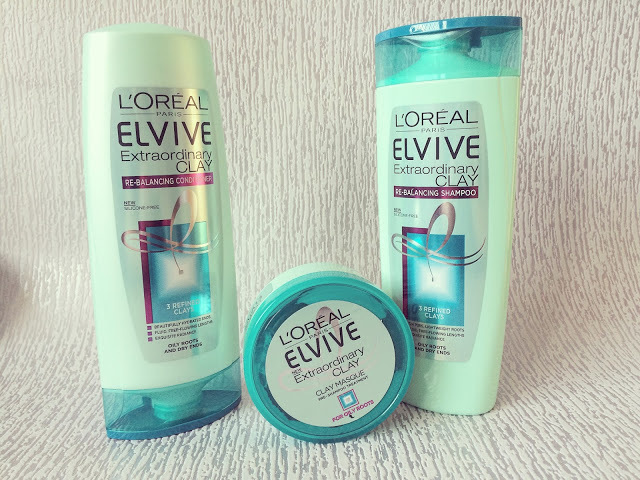 L’Oreal have claimed “purified roots and hydrated ends for an extraordinary 72 hours” after using this set. I personally don’t think that’s the case for my hair. I know sometimes hair products take a while to get used to but I’ve used this four times already and have seen no changes. My hair seems to be softer but not any less greasy. Personally, the best thing for me was the packaging. It really stands out in a gorgeous Tiffany blue/green colour. It looks fab in our blue and white bathroom, I have to admit! There is also a dry shampoo that I didn’t buy from the range as it’s not often I use that but I’m thinking that that might be the product needed on day three! I’ve tried most of the L’Oreal shampoos/conditioners and this sits somewhere in the middle for me. I didn’t hate it but it’s definitely not one of my favourites. I will continue to use it until the bottles are empty but I’m not sure I’ll be repurchasing it after that. 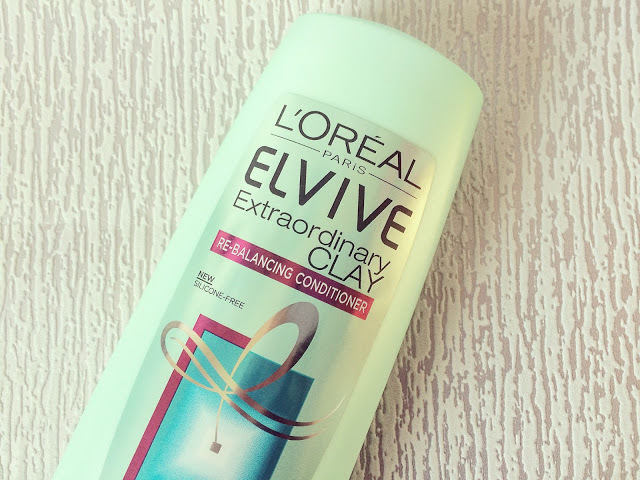 Have you tried the Extraordinary Clay bundle? Did you like it? What are your favourite shampoos/conditioners? Leave me a comment below!